Denise Comilloni is the President and CEO here at SERVPRO of Tarrytown/Elmsford and has several years of experience running a successful restoration company. Denise has several Certifications from the Institute of Inspection Cleaning and Restoration Certification (IICRC): Water Restoration Technician, Applied Structural Drying Technician, Applied Microbial Remediation Technician, OSHA Health & Safety, Fire Restoration Technician and Deodorization. 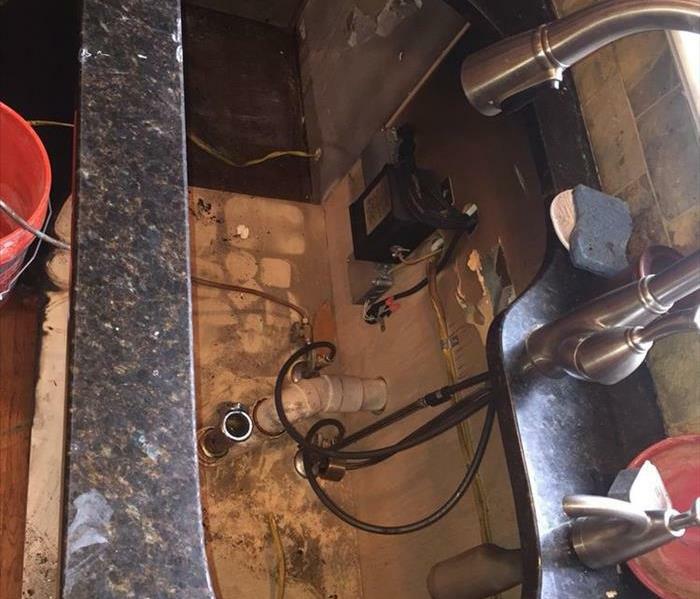 Joseph Comilloni is the Vice- President and Co-Owner here at SERVPRO of Tarrytown/Elmsford and has several years of experience running a successful restoration company. Joe has several Certifications from the Institute of Inspection Cleaning and Restoration Certification (IICRC): Water Restoration Technician, Applied Structural Drying Technician, OSHA Health & Safety, Fire Restoration Technician, Lead Remediation Certification and Mold Remediation Contractor License. Christle is SERVPRO of Tarrytown/Elmsford's Office Manager. From Cortlandt Manor, NY Christle is very familiar with Westchester County and always willing to help and answer any questions the customer may have. Christle started on the team as an Administrative Assistant in Nov. 2013, but since has obtained her certification from the Institute of Inspection Cleaning and Restoration Certification (IICRC): as a Water Restoration Technician to further assist and understand losses. She has been with SERVPRO of Tarrytown/Elmsford for five years and has been managing the office since January 2015. Kirk Bennett is one of the Crew Chiefs here at SERVPRO of Tarrytown/Elmsford. Kirk has several Certifications from the Institute of Inspection Cleaning and Restoration Certification (IICRC): Water Restoration Technician, Applied Structural Drying Technician, Applied Microbial Remediation Technician, OSHA Health & Safety, Fire Restoration Technician and Deodorization. Kirk also has his license and Certified with New York State as a Mold Abatement Worker. 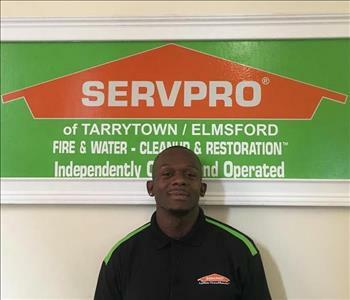 Kirk has worked for us for many years and his great personality and his excellent customer service skills make him an amazing addition to the SERVPRO of Tarrytown/Elmsford family. Kirk is a mentor to our techs, hard working, and dedicated to making sure all customers are not only informed with all that we do on the current job but also educated with the restoration industry in case of any future emergency. 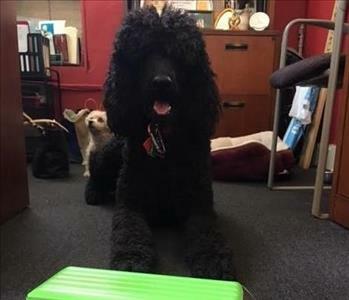 Kole is SERVPRO of Tarrytown/Elmsford's head of security. Kole enjoys playing with his ball, going for mid-day walks, checking in on the employees throughout the day, and the occasional nap. 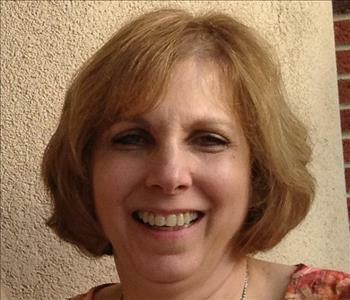 Carmel is SERVPRO of Tarrytown/Elmsford's resident stress management therapist. 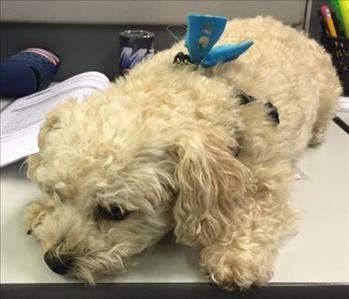 He is a sweet Yorkipoo who enjoys sitting on laps, under desks, and loves his naps. Although he likes the occasional attention, you are more prone to find him napping in the boss' office. Matthew is one of the original Crew Chiefs here at SERVPRO of Tarrytown/Elmsford. Matthew started with our franchise when it opened in 2005 and dedicated his time to the restoration industry until he joined the United States Marines in 2011 where he was quickly promoted to Corporal. Matthew is a quick learner and has excellent customer service skills. He has completed our rigorous SERVPRO Employee Certification Training Program. Matthew is also in charge of our warehouse and keeps everything in working order. Mather keeps everything well organized so our crews can handle their job without having to worry about the equipment or tools. Matthew continues to be a valued asset to the SERVPRO of Tarrytown/Elmsford team. Robert “Bob” Charles is the Business Development Manager and Sales Manager here at SERVPRO of Tarrytown/Elmsford. Bob has several years of experience with SERVPRO as he was once the owner of his very own franchise! Bob has multiple Certifications from the Institute of Inspection Cleaning and Restoration Certification (IICRC): Water Restoration Technician, Applied Structural Drying Technician, Applied Microbial Remediation Technician, OSHA Health & Safety, Fire Restoration Technician and Deodorization. Bob also has his license and Certified with New York State as a Mold Remediation Contractor. 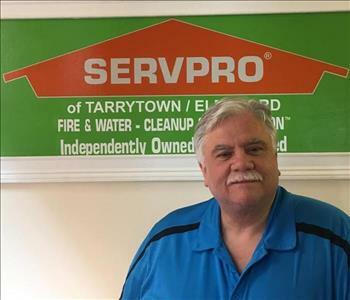 Bob has been with SERVPRO of Tarrytown/Elmsford for years and remains a vital part of the SERVPRO family. 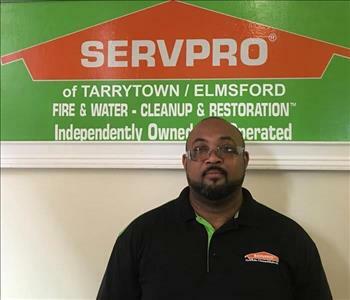 Brian Curry is our Production Manager here at SERVPRO of Tarrytown/Elmsford. He is so busy helping customers you cant get him inside to get a photo. Brian has several years of experience in the construction and remediation industries. Brian has several Certifications from the Institute of Inspection Cleaning and Restoration Certification (IICRC): Water Restoration Technician, Applied Structural Drying Technician, Applied Microbial Remediation Technician, OSHA Health & Safety, Fire Restoration Technician and Deodorization. He has completed our rigorous SERVPRO Employee Certification Training Program. Brian is an expert with all of the SERVPRO equipment and products. 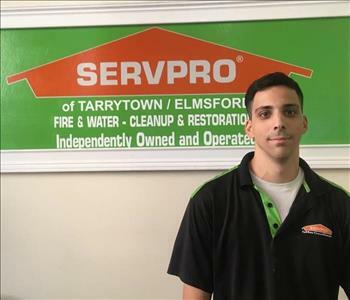 He has excellent customer service skills and a charismatic personality that makes him an irreplaceable part of the SERVPRO of Tarrytown/Elmsford family. 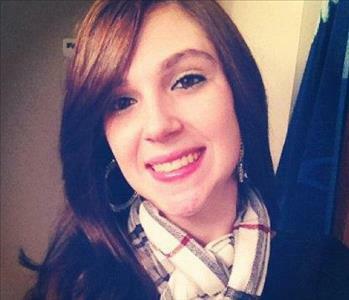 Melissa Kessler is one of SERVPRO of Tarrytown/Elmsford's Administrative Assistants. Melissa helps the Accounting Department and makes sure all insurance requirements are met during the billing process. Melissa works very hard to make sure every job (big or small) is insurance audit ready and all coverage concerns are answered. Melissa obtained her certification from the Institute of Inspection Cleaning and Restoration Certification (IICRC): as a Water Restoration Technician to further assist and understand losses. She has been with SERVPRO of Tarrytown/Elmsford for almost four years and continues to be a valued member of the family. 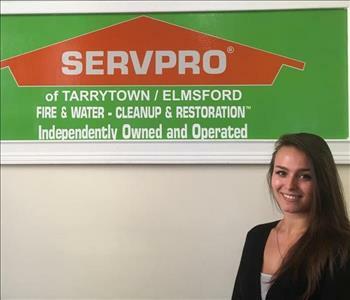 Kristen Comilloni is an Administrative Assistant and Marketer here at SERVPRO of Tarrytown/Elmsford. She answers the phones with a positive attitude and smile and is ready to help people any day of the week at all times. Kristen really knows how to talk the homeowners through the initial call process and makes sure we assist our customers with all their insurance and remediation questions and needs. Kristen is very good at speaking with customers and getting them through the hard times in their lives. 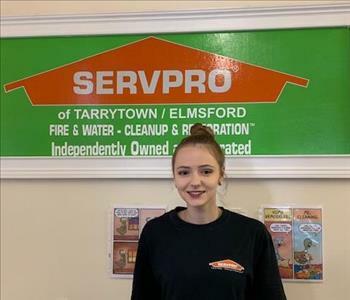 Kristen continues to learn multiple aspects of the SERVPRO Business so she can further assist clients, and hopes to move up in the marketing field, and help build relationships with the community, and educate customers on why SERVPRO of Tarrytown/Elmsford is the best restoration company for them. Jeremy is one of our new production technicians. He shows up every day with a smile on his face and ready to work. He has completed our rigorous SERVPRO Employee Certification Training Program and continues to learn the ins and outs of SERVPRO. He is a hard worker and is a great addition to our team! Roberto is the newest production technician here at SERVPRO of Tarrytown/Elmsford. Roberto has previous experience working with an asbestos abatement company and exceeds expectations when it comes to setting up containment to help facilitate the drying process in your home He has completed our rigorous SERVPRO Employee Certification Training Program and continues to learn our process. He is a hard worker and is a great addition to our team! Michael is one of the new production technicians we recently added to our staff. Michael puts his years of experience with technology to good use completing the information needed to track and monitor the remediation process and also properly submit the necessary information for the various insurance companies we work with. He has completed our rigorous SERVPRO Employee Certification Training Program and enjoys learning new things. He is a hard worker and a great addition to our team! Sophia is the newest addition to our office staff. Sophia has years of experience attending SERVPRO conventions and is always eager to learn more about the SERVPRO brand. Her friendly nature and positive attitude makes her a pleasure for our customers to work with. She assists with all the administrative and marketing duties here in the office and has even attended some of the marketing events! She is a great addition to our growing family. Randy is a Crew Chief here at SERVPRO of Tarrytown/Elmsford. He worked for us previously and has returned to help us grow and learn new things. Randy always greets us with a smile and a pleasant person to work with. He has completed our rigorous SERVPRO Employee Certification Training Program and continues to learn the ins and outs of SERVPRO. He also is IICRC certified and certified by New York State as a Mold Remediation Technician. We are so happy to have Randy back as a Crew Chief! Welcome Back Randy!! Brendan is the newest production technician here at SERVPRO of Tarrytown/Elmsford. He has completed our rigorous SERVPRO Employee Certification Training Program and continues to learn the ins and outs of SERVPRO. He is an active member of the Navy and plans to deploy later this year.